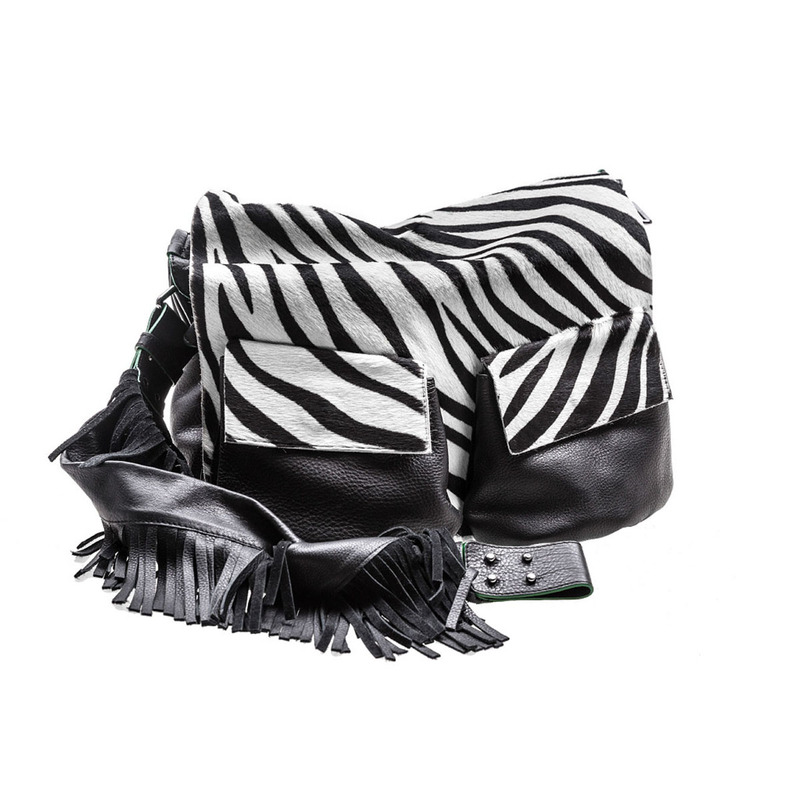 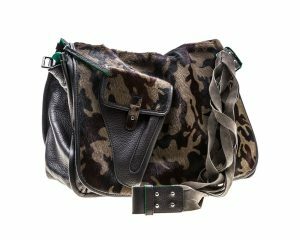 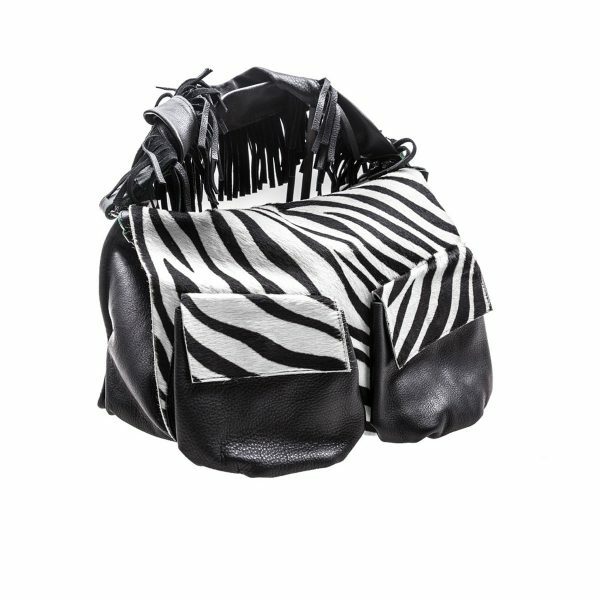 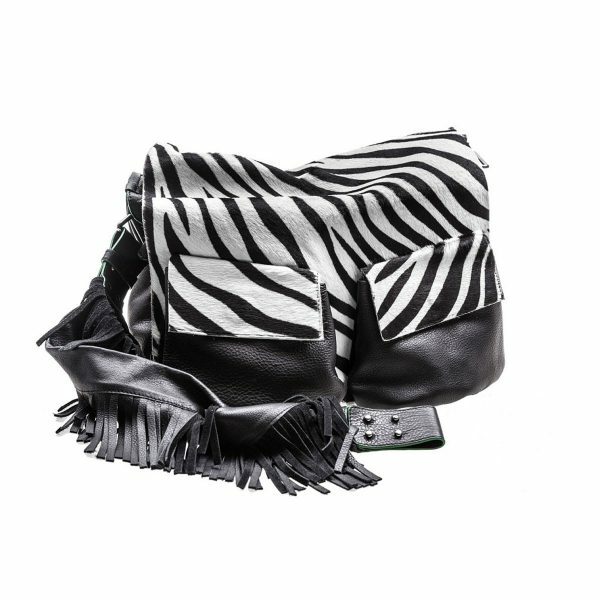 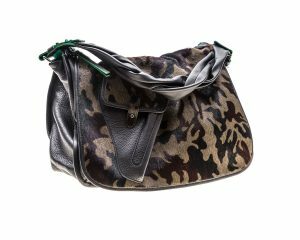 Exchangeable front / flap of Cameleobag, made of leather with bristles, with a pattern imitating zebra’s pelage. 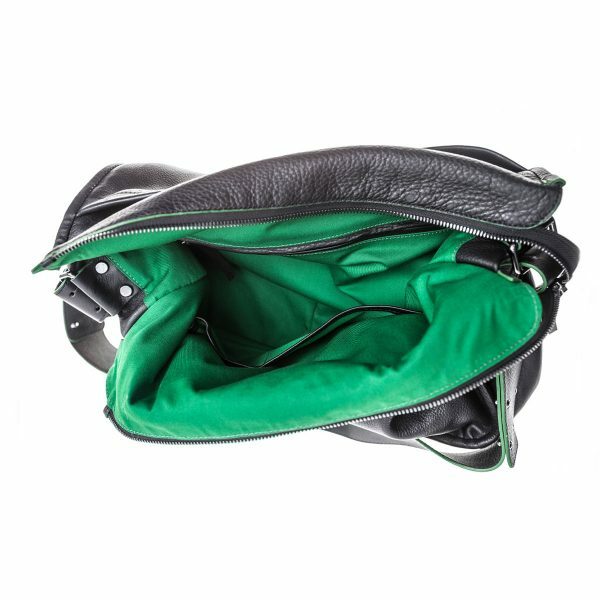 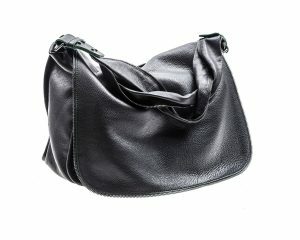 At the bottom – two pockets made of black leather with magnets’ fastening. 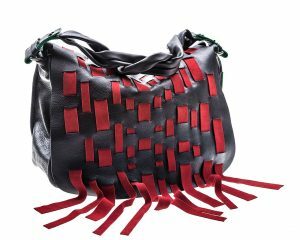 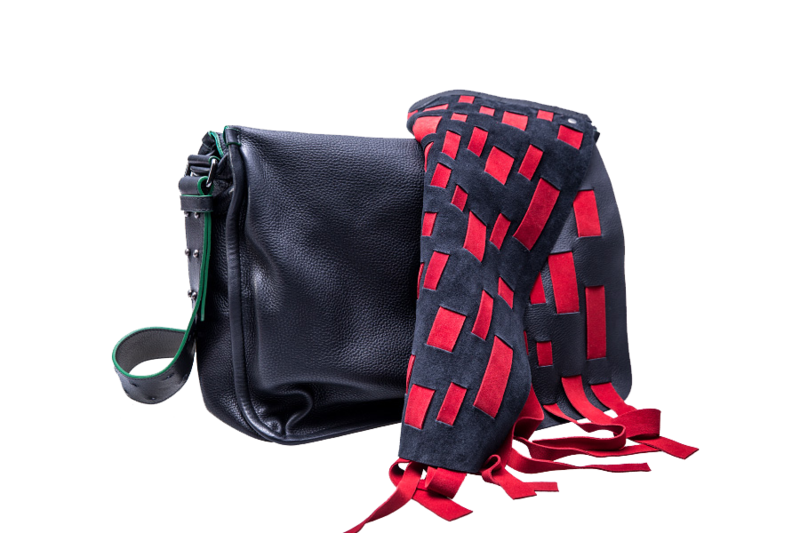 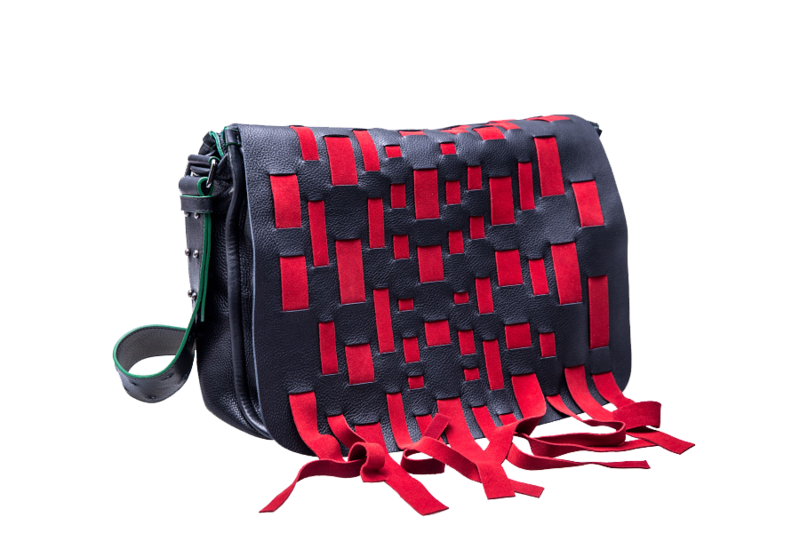 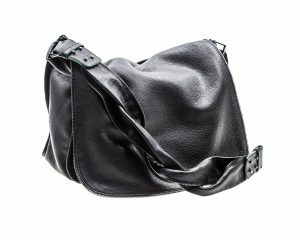 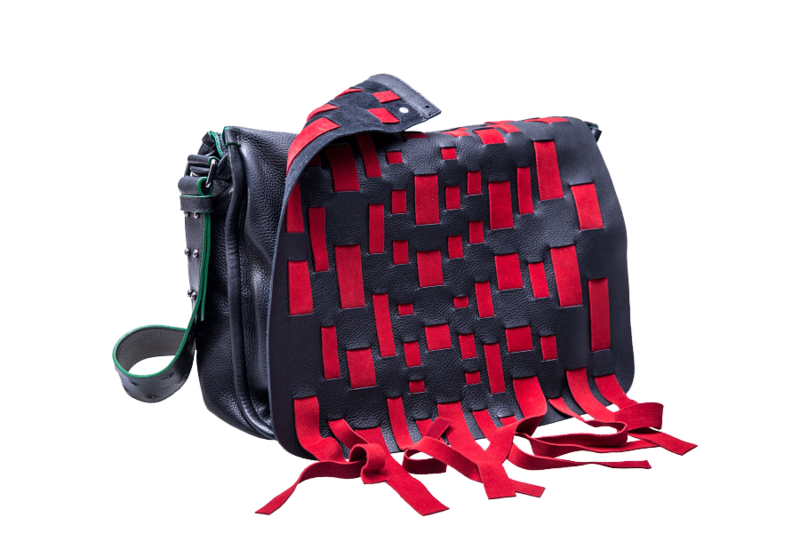 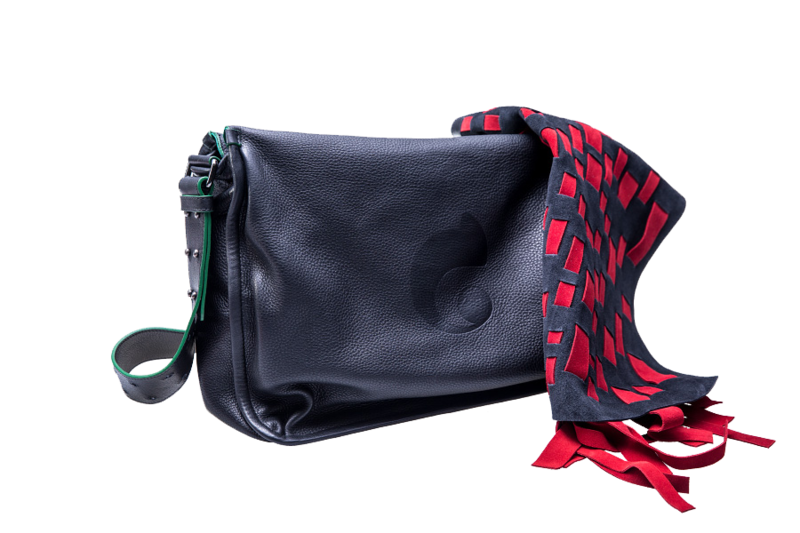 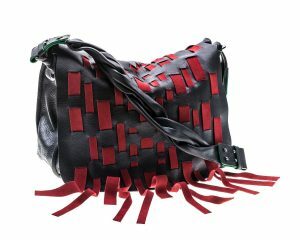 Exchangeable strap of Cameleobag’s BODY BIG, made of black leather, finished with tassels. 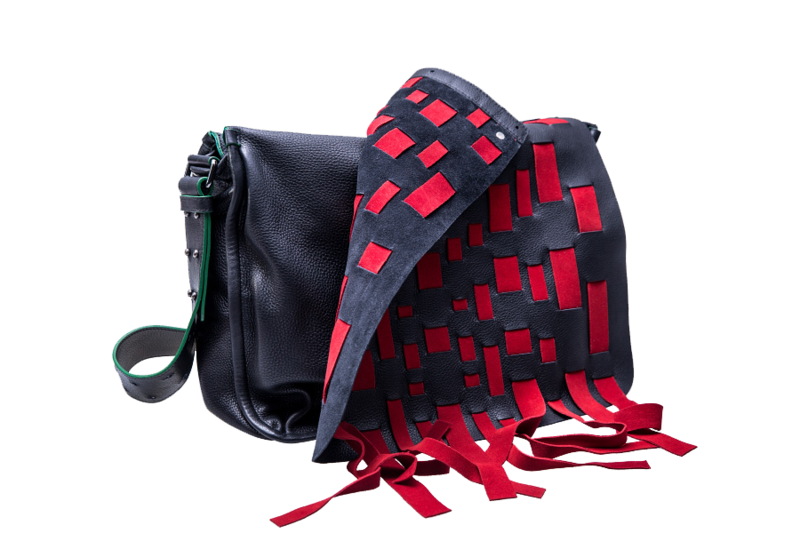 Attachable ends decorated with dark nickel-coloured ferrules.